Aromatherapy is the use of essential oils (plant oils extracted from leaves, flowers, and other parts). Each oil has a characteristic scent, and in aromatherapy, the oil is inhaled or used topically on skin for sleep, headaches, and other conditions. Although essential oils are widely available, it’s important to understand how to use these potent oils. Here are some tips to guide you. Whether you’re using a diffuser, steam inhalation, spray, or you are simply inhaling a drop or two of an essential oil on a cotton ball, be sure to test a very small amount first because allergic reactions can occur. A common mistake when using essential oils is to use too much. Usually, one to three drops is all that is needed. 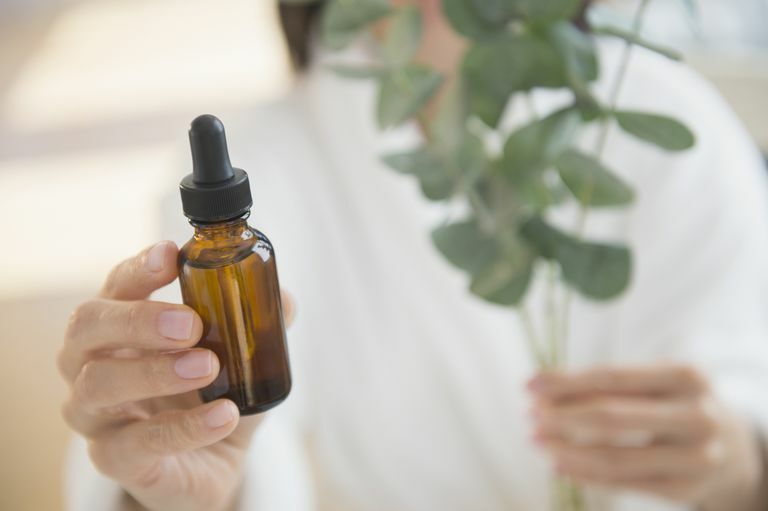 When using essential oils on skin, in a bath or shower, or in an aromatherapy massage, always dilute the oil and be careful not to use too much. Essential oils are absorbed through the skin, and using an excessive amount or applying undiluted essential oils to the skin can result in an overdose. Although recommended amounts may vary, a typical concentration for occasional use is 1 percent for the body and 0.5 percent for the face (or other delicate skin). For regular or daily use, 0.5 percent or less is often suggested. Generally, the larger the area (e.g. a body massage) or the more frequent the use, the less concentrated the product should be. Skin irritation, contact allergy, and burns can occur when using essential oils topically. Always do a patch test when using a new essential oil. When using a pure essential oil, add one drop in 2.5 milliliters (or 1/2 teaspoon) of vegetable oil and apply it to your arm. If the area turns red or if there is burning or itchiness, wash the area and avoid that oil. Test aromatherapy skin and hair products, such as lotions, creams, or shampoos, by applying a small dab to your arm. Be sure to store essential oils out of the reach of children. Avoid getting essential oils in your eyes, nose, or ears. Wash your hands thoroughly after using essential oils. If you're blending or working with pure essential oils, you may want to get disposable latex gloves (or latex-free alternatives) from the drug store. Don't take essential oils internally. Even small amounts can be toxic and potentially fatal if ingested. Before going out in the sun or to a tanning booth, avoid essential oils that increase your sensitivity to the sun, such as bergamot, grapefruit, and other citrus oils. Overuse of essential oils can trigger a headache or dizziness. Don't exceed recommended amounts. If you're working with essential oils (e.g. making your own lotions, candles, or bath salts) make sure you're working in a well-ventilated area or take breaks to go outside. If you have a medical condition, consult a qualified practitioner before using essential oils. Certain essential oils should not be used by people with health conditions. People with liver or kidney disease should only use essential oils under the guidance of a qualified practitioner. Once absorbed into the bloodstream, essential oils are eventually cleared from your body by the liver and kidneys. Using essential oils excessively may injure these organs. Consult a qualified practitioner if you take any medication, because essential oils may interact with certain medications. For example, essential oils such as chamomile, lavender, and lemon balm may heighten the effect of sleeping pills or sedatives. Also keep in mind that the safe limit for pregnant or breastfeeding women, children, and those with medical conditions or who are taking medications has not been established. If you're considering the use of essential oils for a health condition, make sure to consult your physician first. Self-treating a condition and avoiding or delaying standard care may have serious consequences.